Santa Claus for hire in London at Christmas! Father Christmas loves to visit all the children, – flying in on his reindeers, on the days leading up to the big day at their homes or other settings in London and surrounding counties, giving them xmas presents and finding out if they have been good or bad, happy or sad! Our Santa Claus for hire in London will visit the kids in Barnet, Richmond, Twickenham, Hendon, Harrow, Brent, Finsbury Park, Morden, Willesden, Haringey, Lewisham, Croydon, Chelsea, Hampstead, Finchley. Tottenham, Catford, Dagenham, Ilford, Wembley, Wimbledon, and more. 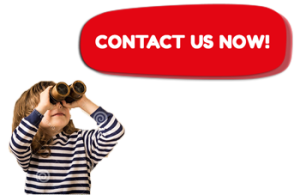 We can perform at shopping malls, play centres, mother and toddler groups, corporate functions/ events, hospitals and other venues or occasions, even at home! See our general prices and contact us. Then he will meet and greet with the kids, saying Ho, ho, ho and checking his list! Afterwards, we will sing and dance Christmas Songs and Carols. To finish, we can give out the presents you supply for your kids and even receive letters or listen to their requests for the so waited Christmas Night. Our Santa Claus for hire in London travels from the North Pole, bringing gifts the Elves have made and prepared! If you want your children to be amused by our wonderful Father Christmas, singing Jingle Bells, Silent night and other festive songs; or perhaps you want Santa to give gifts to all the children in their schools, homes, in hospitals, shopping malls & corporate offices – you can hire Santa at Christmas by calling us now! And see other Christmas entertainers for kids. Santa Claus as an extra: If you want to hire one of our regular Christmas entertainers as an elf doing one of our Christmas entertainment packages, you can add up a Santa Claus visit for a special price. 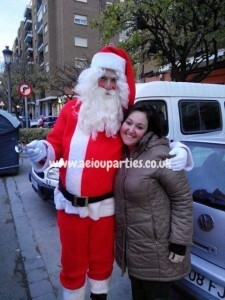 Ask when you enquire for the extra appearance of our Santa Claus for hire in London for your party. Part of a successful Corporate Christmas Party is hiring a Santa Claus to visit. We know that organising a Christmas Party for a Company is a hard work, so we can supply the whole entertainment needed for the occasion, and there is not a better way to crown a Corporate Christmas Party than hiring a Santa Claus to visit at the end of the day. Our Santa Claus for hire in London will be able to give out presents for the kids, carefully selected for each kid’s enjoyment, living the experience of a face to face encounter with the Big Boss and giving him in person the letter with this year’s requests, telling him how good they were during the year and taking an everlasting picture with him! This is a wonderful idea for companies whose employees are Mothers and Fathers. Hire Santa in London; he will come to the office, have the children sit on their knee, talk to them about the festive season and give them each a present. Our Santa’s dress in good quality, believable costumes and will attend gatherings, parties or events of any size. Our prices are competitive and the quality is unbeatable! If necessary, within our Santa Claus for hire in London package, we can add a fully equipped photographer with Christmas scenery, printed photos received at the end of the day, with extra framing or even set in keychains. Contact us to get a Santa Claus for hire in London this coming Christmas – it’s bound to bring delight to kids and adults everywhere! 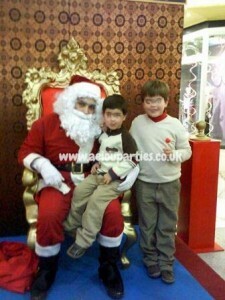 Hire Father Christmas for your festive event and bring the magic of Christmas to your children. Get ready for the best entertainment this season and enjoy with our AEIOU Parties. AEIOU Kids Club Santa Claus for hire in London today!